Hotel Football UpLighting. 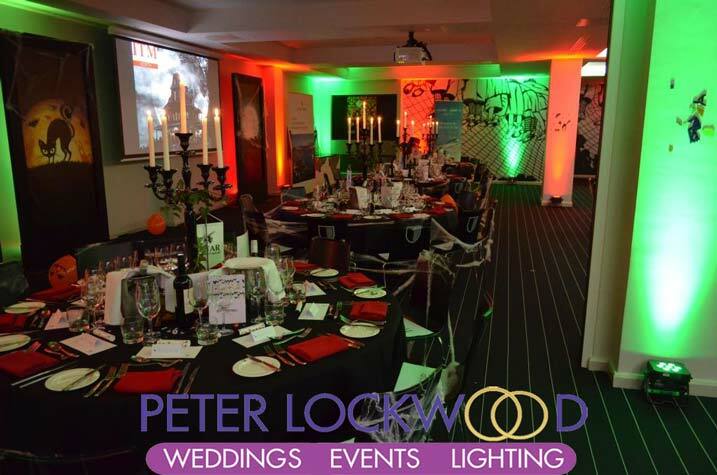 I provided event uplighting for a fundraising Halloween party at Stadium Suite in Hotel Football. 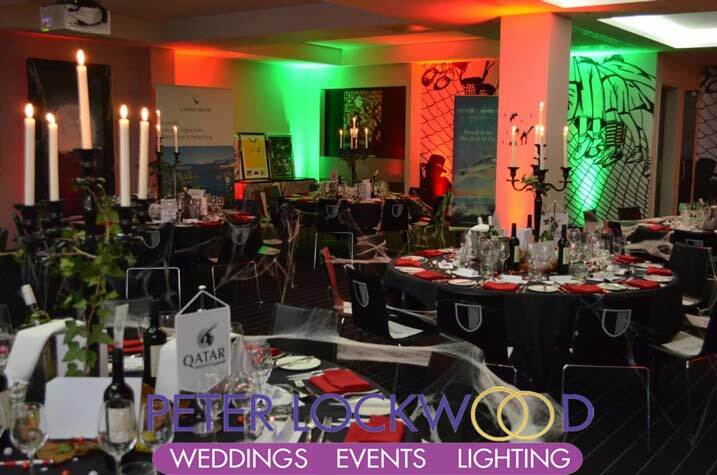 Hotel Football is a stunning new hotel at the side of the Manchester United football ground, I provided red and green battery powered led event lighting, this created a fantastic fundraising atmosphere. A lot of money was raised during the evening to send children to Lourdes. I can provide all types of lighting, Drapes and Backdrops for weddings or events in Hotel Football. 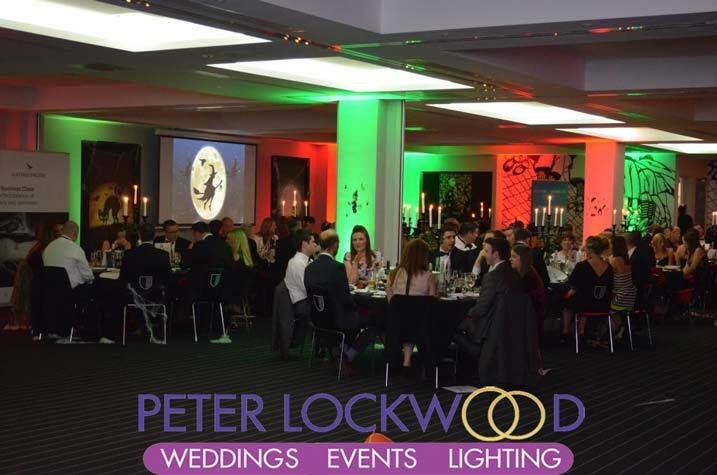 Peter provided the lighting for our wedding reception on 4th May 2018 and did an excellent job. 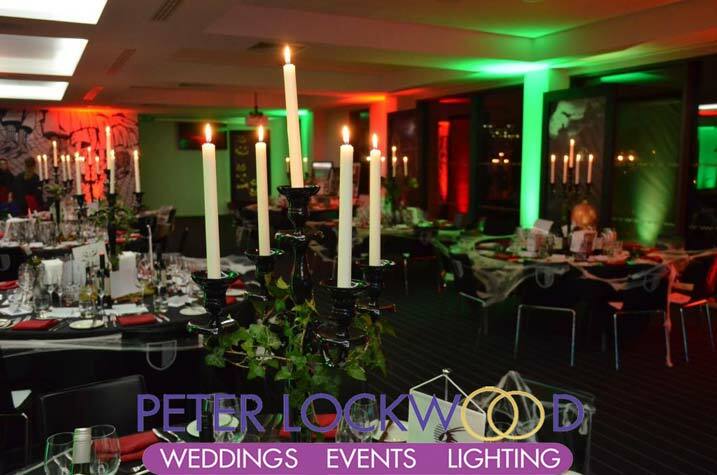 The room would have looked quite bland without Peter’s lighting but he was able to provide lighting in colours that fitted our Irish theme, and which provided extra atmosphere. He was friendly, helpful and clearly knows what he is doing! Would recommend.